Now You Can Create Ready-To-Publish Journals - Simply And Easily With The Brand New Journal Creator Software! Sell Them On Amazon, Etsy, Or Wherever you wish! It only takes a few minutes.... and I'll prove it to you in the video below. Hey, it's Amber Jalink here. You may not know me, but I've been marketing online full time since May of 1997 (yep going on 20 years!) And while you probably don't care about that, I'm simply stating it so you know I'm not a "here today / gone tomorrow" marketer. You likely know about the popularity of journals on Amazon, Etsy and elsewhere. I'm not going to give you a big speal on why you should create and sell journals, if you have watched ANY products lately, several have talked about journals for a while. But in case you missed it, you might ask, "what is a journal", isn't it just a notebook or diary? A journal is (or can be)... a simple notebook where you write ideas, goals, product notes, even planning your day without a formal daily planner. A journal can be a diary, a health log, an anxiety or feelings log, it can even be to express your thoughts and gratitude to others. It's FAR beyond​ what they originally started out as. And years ago, journals were mainly called "diaries", but today they are far more than just that. For example, I have many notebooks, but some I consider more "journals" than notebooks. Why? It's simply in how I use it. And I know you probably use one too, even if you don't realize it. And journals are very popular on Amazon and Etsy and so many other marketplaces, even more so than coloring topics. Perhaps you already know this, and you thought about creating your own journals, but found it a little difficult to put together. I know, I get it. (This is not what it is about....) but we have many members of CreateDash who have mentioned that they don't know what to put in a journal, or how to put one together. Example: "She believed she could so she did" ... writing journal. NO this is NOT my book... it's simply the top result that was published by CreateSpace when I searched. At the "sale price" of $6.60, the royalty on this book is $1.81 per sale. 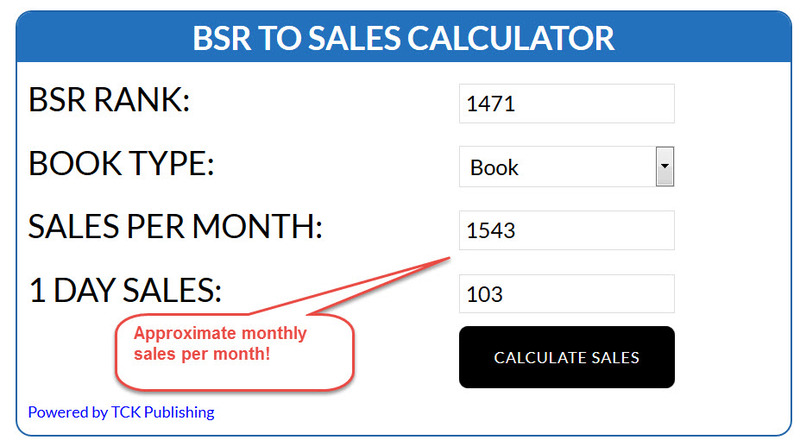 Multiply that $1.81 x 1543 sales, = approximately $2,792.83 in monthly income - from that ONE journal! At the LIST price of $7.99, her royalty is about $2.64, which multiplied by 1543 sales is an approximate $4,073.52 in monthly income! Again - just that ONE book. Disclaimer: Obviously I'm not saying how much money you could make with journals, it's entirely up to you, and the effort you put into it. ​You could earn a lot, or nothing, but you certainly won't earn without trying. This is not a get rich quick scheme, it is a true business - even a sideline business - and any business requires effort. And as mentioned, journals don't "just" have to be for regular writing, they can be as detailed as affiliate journals, seo journals, (think online marketing! ), or health / weight loss related, gratitude, spiritual, anti-bullying, and the list continues. But it doesn't JUST have to be for adults - you can make journals for kids as well! (This seems like an untapped market in my opinion). It's a great way to get kids - young and thru teen years, to write about anything... make a journal for their favorite movies, vacations, even play time! (Think treasure hunters, puzzles, mysteries!) I've never talked about these before, but the ideas are just to fun not to give them away. It doesn't matter how many ideas I have, or how many I'm working on publishing (and I am working on many) - I know I can't create all of them myself, and every person has different ideas and approaches. 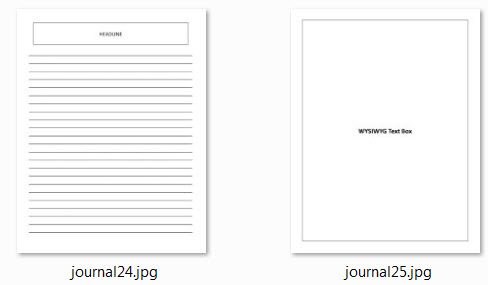 Give me a brief moment to explain how this all came about, and how you can create journals just like I suggested or with your own ideas, quickly and easily, even if you don't have a CLUE how to use Word, Publisher, InDesign or any other word processing or desktop publishing type software. I know what you might be thinking. I get it, I totally understand that feeling - of both lack of time, and sometimes lack of knowledge (or even just a blank brain on how to design what you can picture in your mind). The thing is, even though I had to teach Word and Publisher... the reason I learned it in the first place was because I was thrown into a job from a temp agency to replace the receptionist who didn't show up to work. (She quit and didn't tell them, she hated it apparently). And when the staff member showed me the computer I would be working on and this new program called "Word" - she admitted that the other lady had been completely flustered. Wow that was a scary thought to me, because I was NOT taught by anyone - she literally said, "there's the computer, have at it and figure it out." (This was back in like 1993, when computers were just really starting to take over the typewriter). Wow that made me sound old... lol! Thankfully I'm a little resourceful and determined, and I literally spent most of my first days playing with the software until I had figured ALL of it out (even the hard stuff at that time). From that point on, I became "in demand" on temp jobs because I had mastered that skill of this new software, several even hired me to specifically teach other staff - until I started my online business back in 1997 (and stopped working for others). Well with all my years of using the varying versions of Word and Publisher, I created a few journal designs in it, and added them to our other site, CreateDash. Don't worry, I'm not showing you multiple sites here or try to get you to join another site, but it's important so you understand the principle behind what I'm about to show you and why it was created. In short, CreateDash was launched as a "print on demand" marketplace with the original intention of being just planners. 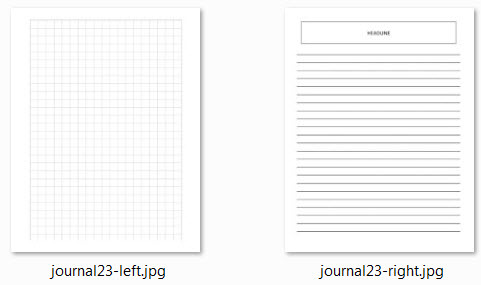 Because of the capabilities we wanted it to have, I was asked if it could do Journals, so I added 2 designs into the system. But then we realized the system powering it couldn't handle designing right in there as we originally wanted, so members have to download the designs and upload completed pdfs (or their own pre-designed styles). This is totally fine, realistically other print on demand programs like Gearbubble have you upload your design rather than try to design on screen - it's faster, simpler and better overall (including a lot less bandwidth/load on the server). First, for those who wanted to use my pre-designed styles, most of the members had no clue how to use Publisher, they didn't even have it. And while there are some software alternates out there, they just don't work as good (or as easy), unless you get into Adobe InDesign (which is an even bigger learning curve). Only a few understood how to use Publisher. Second, I was constantly and continually asked if members could take my designs and publish them ELSEWHERE - outside of CreateDash, with no royalties to me in any way. Well that defeated the purpose of CreateDash (being that it was print on demand), so the simple answer was No, unless they were ALSO and mainly publishing on CreateDash. That turned many away, and that's fine - CreateDash morphed into far more than even I expected, but not what some wanted it to be, and I get it. You must design on your own first, then upload to the system. 2) I needed to come up with a solution that would make both of us happy - for those who want to publish on Amazon/CreateSpace, Etsy, RedBubble, or any other publishing system that didn't involved CreateDash, but that didn't at the same time, take my templates without royalties. (And of course, CreateDash itself doesn't have royalties, and I didn't want to start adding them on). And that's when I came up with the realization, that I could create a completely separate, fully functional Journal builder type software, that lets you design right in the system following simple prompts! I knew it had to be step-by-step easy, it had to NOT require fancy positioning, and it couldn't require you to then take the file and open it in Word or some other program to finish. In other words, it had to do it all, from the inside cover to the end pages - all in one system. And I have spent the last almost 5 weeks, learning how to create the software that can do exactly this for you, coded my designs into it (since I couldn't use Publisher, they had to be transformed while still keeping the layouts) - and I created 25 completely new templates to be used by almost anyone. You don't have to be an expert, just follow the prompts, and at the end, you'll have a PDF file ready to upload to the printing system of your choice, whether that's CreateSpace (for Amazon), Etsy, or any other! 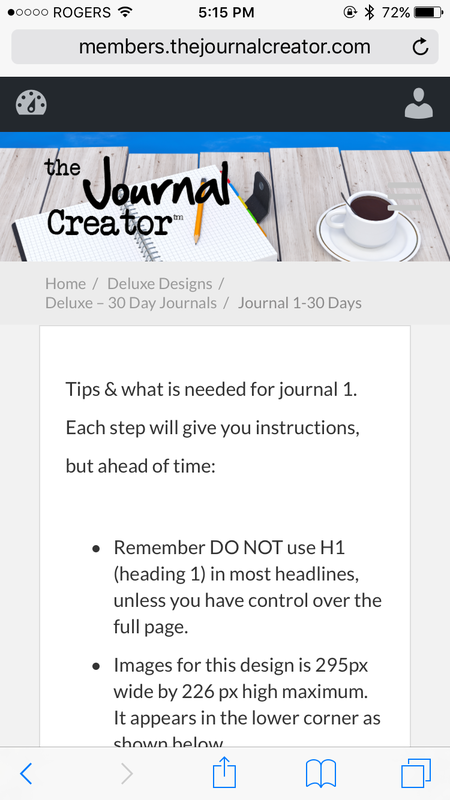 ​I Invite You To Join Our Brand New Journal Creator Online Software, and Start Profiting With Your OWN Journals! 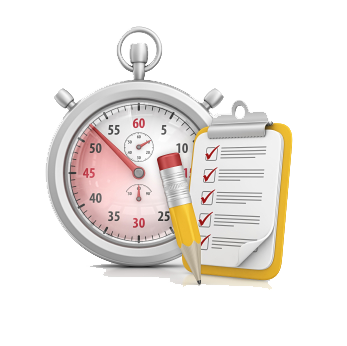 Speed up your time by customizing templates right on the spot! Depending on the level you join at, there are 10-25 templates (with more coming) so you don't have to worry about figuring out how to lay out a design. This speeds up your time, and there's NO learning curve to figuring out how you want it to look. Simply select the predesigned style and enter the text and/or images! No downloading templates, no opening other programs, simply do it right online! These templates were custom created, exclusively for this system. Mobile Friendly - Use on almost Any Device - Anywhere! 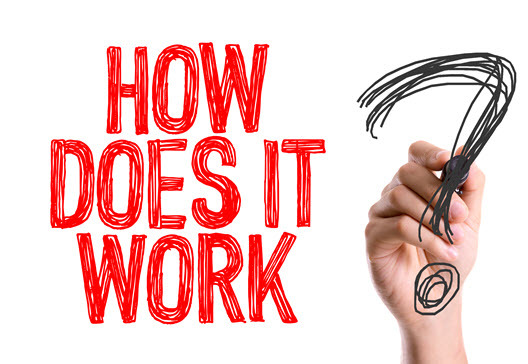 Yes, this system will work whether you're on a desktop computer, MAC, a tablet or even a phone! Obviously we suggest you use at least a tablet or higher for screen size, (after all, it's easier to design on a bigger screen), but quite simply they will all work as we've made it fully responsive! There are NO installs - no issues between Windows or Mac, no installing Adobe Air, nothing! It's 100% web based so all you need is an internet connection, and simply load it in your browser! (We do recommend Firefox, but you shouldn't have a problem with other browsers). 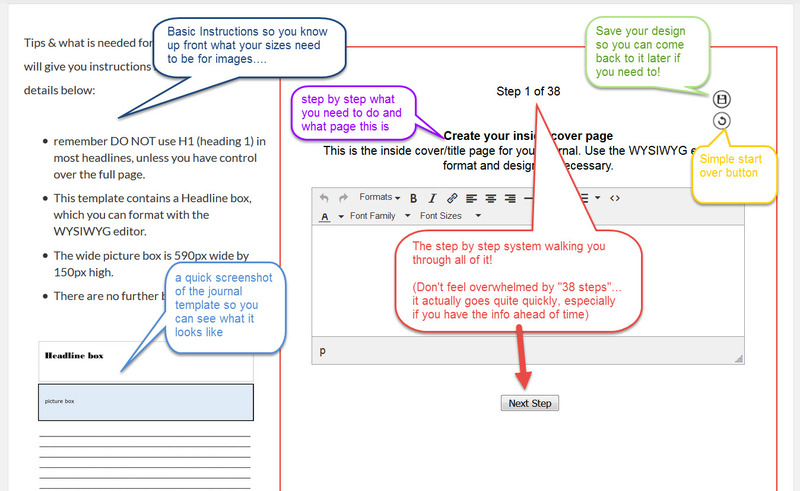 On each journal template you work with, you will see a layout similar to below (except without the speech bubbles ;). This though shows you what to expect in the step-by-step system. Publish on Amazon, Etsy, or ANY Marketplace of your choosing! Using this system, you are free to publish your journals created with this system absolutely anywhere! You have full rights to print and publish anywhere you want, no restrictions, no royalties to us! but what about the design templates? Standard level members get unlimited access to 10 template design styles. These are 30 day templates, currently set at 8x10 for publishing (they print on up to A4/8.5"x11", but can be trimmed to 8x10). In most cases below, the blue boxes are images, the other boxes are text. However, if you like a style that says text but you prefer an image, simply upload the image online, and using the WYSIWYG editor, add the image from a link! It will embed it into the document... = instant image! You get ALL of the Standard designs, PLUS these additional 15 styles - some of them are 2 page templates (left side/right side!) Plus there will be more designs added. These are currently also 30 page (30 day) designs, same print sizes, and we've already been asked to add 90 day designs. They're coming soon along with other features! When you join, you will get immediate access so you can start building your journals. You'll want to watch the 2 short training videos so you understand how to get around, and how to use the creator. The first video is just 4 minutes long, and the second one is 17 minutes long. (It's the video above, but with talking at normal speed ;). Let me answer a few questions I know you're probably wondering about. Question 1. "Are there any royalties at all?" Answer 1. No. Simply join as a member, create your journals, and put them up for sale. Whatever you earn when you sell them is entirely yours! You CAN NOT sell the templates to others obviously. Question 2. "Does that mean I have to remain a member forever in order to remain royalty free?" Answer 2. No. There are no long term commitments to our membership. Simply know that if you choose to cancel and then come back at a later date, we will not hold any pricing specials for you, you will be required to rejoin at whatever the current membership cost is. Question 3. "What are the sizes of the journals?" Answer 3. As stated above, they are designed for regular size paper (8.5"x11" or A4) - but can easily be trimmed "with bleed" to 8x10. "Some" might fit 6x9", but you would be responsible for resizing down if you wish to do that. Question 4. "Do you see what we are creating so you can copy it?" Answer 4. First off - let me ease your mind, in ANY of our sites, I never copy another member's products or ideas. I have my own ideas. Occasionally we might have the same "topic" idea (i.e., a gratitude journal) - but the words, prompts, images etc. are completely different, so you can ease your mind on that. Second - I cannot see ANYTHING you create unless you show me. The system does NOT save inside, only to YOUR computer if you choose to save as you go along (which you should, because that's the only way to retrieve it). Question 5. "What format does it produce?" Answer 5. 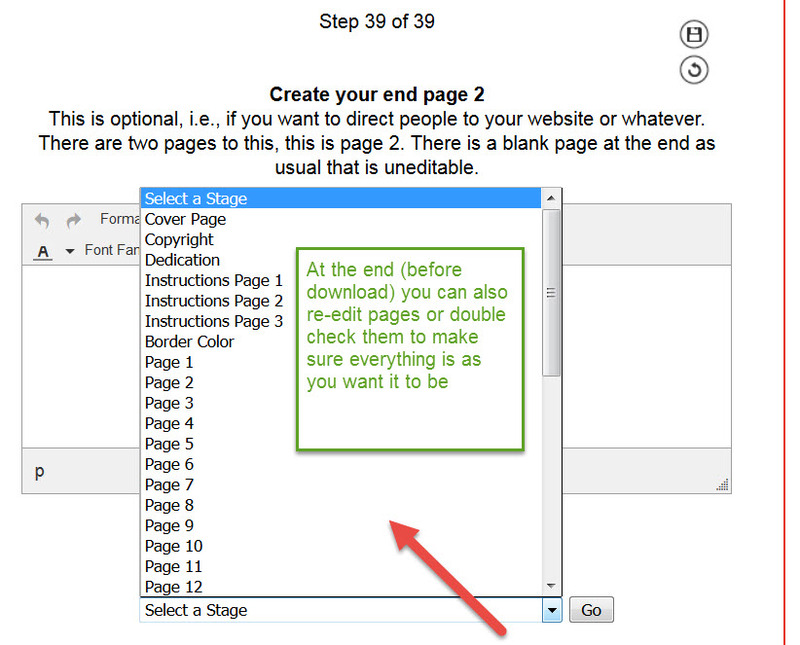 At completion it creates a PDF file which you will download and save to your computer (or whatever device you're using). 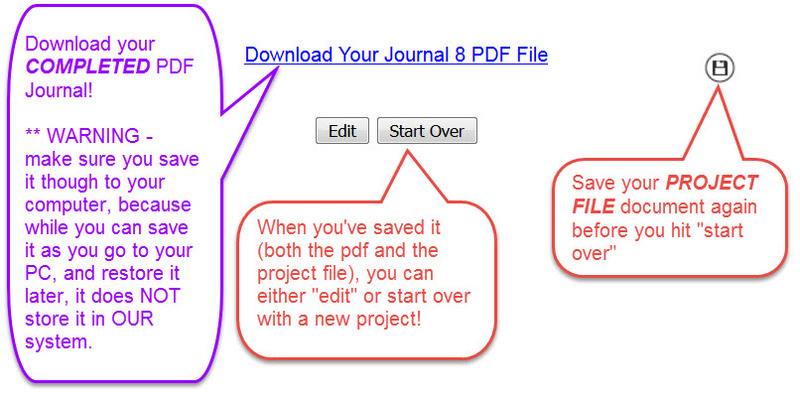 Remember - it does NOT save the pdf file in the system, you MUST download it yourself. Question 6. "If I need to go back and fix something, can I?" Answer 6. Yes, as long as you save your project as you go. Even if at a later time, you have created other projects and want to edit one of them, simply upload the one you want to change/edit. (The instructions are inside for this in the 17 minute video, and I'll be elaborating even more on this). Question 7. "If I love it, can I tell others? 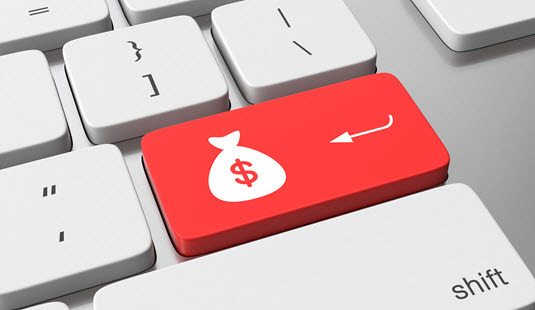 Do you have an affiliate program?" Answer 7. Absolutely! (Details are inside). Question 8. "What software do I need to use the creator?" Answer 8. You only need an internet connection and a browser (just like how you're reading this now). That's it. It's entirely web based, so you can log in any time, from anywhere. Question 9. "Can I share my account with others?" Answer 9. No. This is for your access only. We track IPs. If more than one person from different ips try to access your account, your account may be locked. We understand people travel, so that's ok. But the system will flag if it's more than 1 different IP in the same day, so don't share it. Question 10. "What if I want a feature that isn't in there?" Question 11. "Why is it monthly? Are there any lifetime options?" Answer 11. There are no lifetime options at this time, and there's a simple reason for this. Have you ever noticed that often software that is "one time" suddenly stops getting support, or entirely disappears? This is because "one time" payments DO NOT support the system or any further development. In most cases, when it's "only" lifetime, many marketers just take it and run. You can NOT have an ongoing service with just lifetime memberships. For that reason, the monthly membership helps us keep YOUR support going, helps us add NEW features according to your requests, and helps us continually improve. We have a very high rapport for support with our members of our other sites BECAUSE we continually support them. Remember, you can do SO much more than just "regular" journals. Think Affiliate Journals, Blogging and writing journals, puzzle journals, anxiety/depression encouragement, and so much more. ​*** PLEASE BE AWARE THAT THIS IS CURRENTLY CLOSED​ TO NEW MEMBERS DUE TO A ​MAJOR UPGRADE. The buy buttons are temporarily disabled. UNLIMITED USE! Publish unlimited 30 day Journals! Publish on Etsy, Amazon or any other marketplace you wish - OR print at your local printers! YES You can even sell digital journals! (Just not on Kindle, their rules). Monthly Auto-Renewal to protect your pricing, cancel any time. ​*** PLEASE BE AWARE THAT THIS IS CURRENTLY CLOSED DUE TO A ​MAJOR UPGRADE. The buy buttons are temporarily disabled. UNLIMITED USE! Create UNLIMITED 30 day Journals! Publish on Etsy, Amazon (CreateSpace), or any other marketplace you wish - OR print at your local printers! Additional templates and 90 day templates coming soon! Monthly Auto-Renewal to protect your pricing, cancel anytime. $19 per month during this special Launch! But hurry, the price goes up soon! ​Don't be fooled by the insanely low price - this system produces high quality, print ready journals you can sell. I know there are other software programs out there that are one time costs, often at a much higher rate. And sometimes, that puts the software out of people's budgets. I am determined to keep it as affordable as possible, and that's why it's not $47 a month or higher! 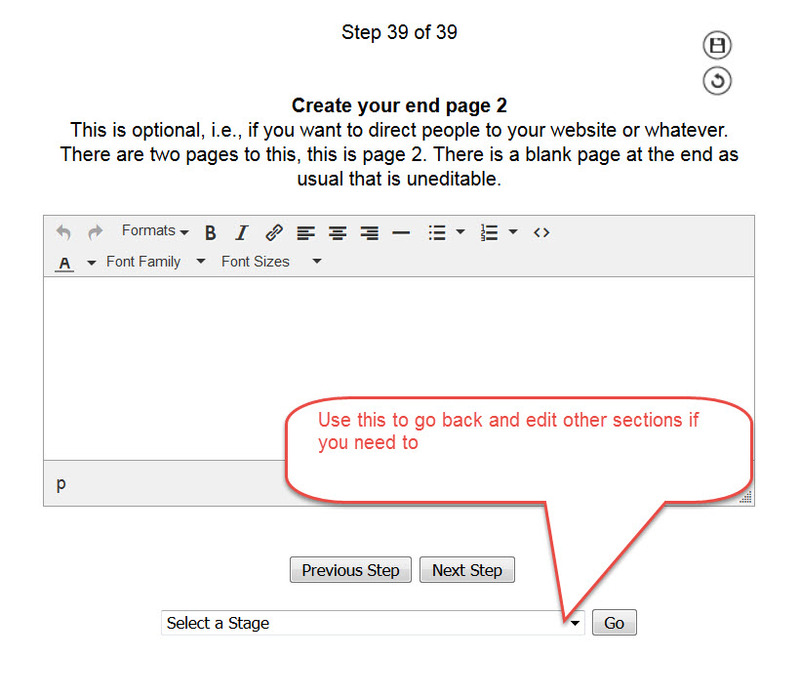 It removes the "Created with" statement which is in small print on the copyright and end pages. (This is standard with CreateSpace or any other printing company, and most software programs which allow you the ability to leave or remove the "powered by" link). There are NO other upsells or downsells. So go now while the prices are at this special introductory rate! Remember to click "return to merchant" or allow Paypal to return you to the system when you have completed your payment. PS - I have a fast-acting bonus that I will include for everyone who joins in the first 3 days! If you need ideas, this report is a huge help! Copyright 2017-2018 by The Journal Creator.